Best for: Those with a curious and courageous heart and open mind. Not for: Anyone who isn’t prepared to encounter an imperfect, real-life Egypt or ready to be brutally honest with themselves about what is holding them back in life. 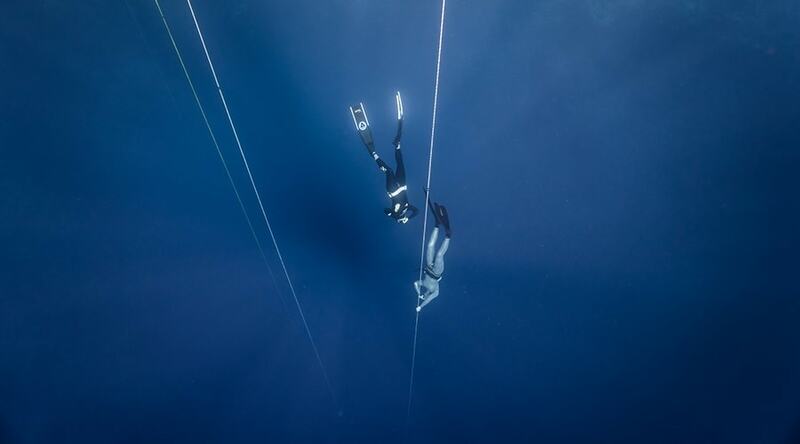 British yoga teacher and world record-holding freediver Sara Campbell and her partner, yoga and meditation teacher, Jean Philippe Capieaux run unique holistic retreats that integrate yoga with (optional) freediving for stress relief, adventure and a new perspective on life. 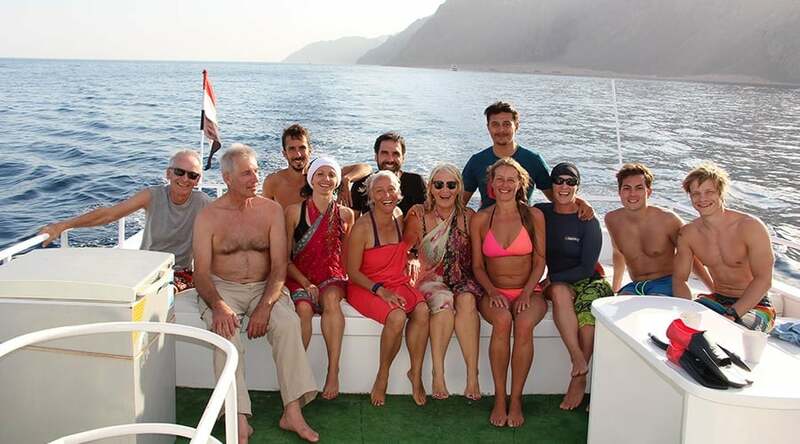 Based in Sara’s home town, the Red Sea village of Dahab, the couple run group and private retreats and offer online coaching to allow guests to switch off, reconnect with themselves, and explore and experience their hidden potential. The integration of yoga and meditation in the desert and the ocean is a powerful remedy to our hectic modern-day lives, and stress-and trauma-related issues. If you crave deep silence, you’re unlikely to find anywhere more powerful than the Sinai desert. 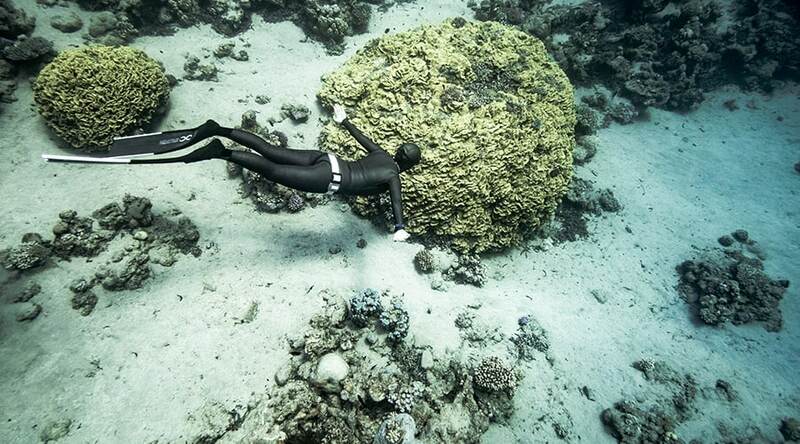 Dahab is one of the best locations in the world for freediving, with year-round warm temperatures, very little current, calm surface conditions and perfect visibility. And where else can you get personal spiritual coaching from a woman who has dived to over 100m on just one breath? This is a truly unique and very special experience. Dahab is a typical Egyptian Bedouin town and many people are upset by the rubbish on the beaches and in the sea. It’s not a luxury resort, and you are exposed to the real life of Bedouin culture, which is not everyone’s cup of tea. Caroline Sylger Jones talks to world champion freediver, Kundalini yoga teacher and spiritual coach Sara Campbell. Sara and Jean Philippe offer a range of retreats and bespoke coaching programmes that can include Kundalini Yoga and Meditation, a fusion of Hatha, Vinyasa, Sivananda and Sampoorna, various Buddhist meditation traditions, optional freediving, spiritual coaching, and lots of time in nature, most especially the desert. Sara and Jean Philippe also encourage journaling as an integral part of all of their retreats, but particularly the freediving retreats. 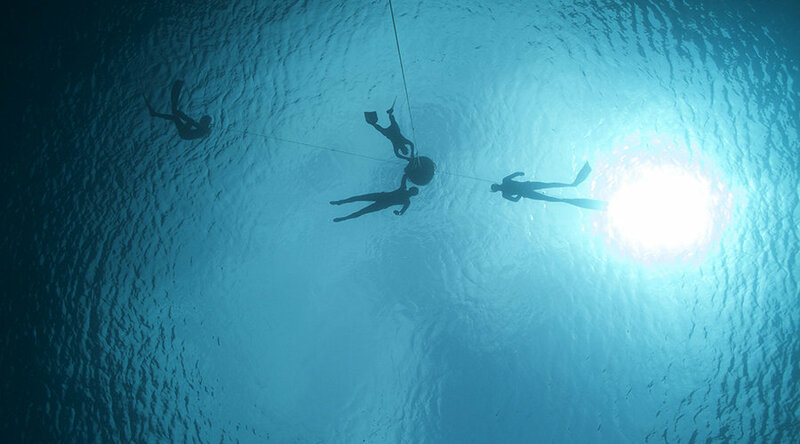 You can join a private or group retreat in holistic freediving whether you are a total beginner, suffer from water-related fear or trauma, or have some training but are interested in taking a more spiritual approach. You can expect mornings of individual consultation, discourse and discussion, theory, yoga, meditation and pranayama, and afternoons spent experience the teachings in the ocean. Journaling is also encouraged. There’s plenty of time to rest, reflect and integrate the experiences. Sara and Jean Philippe combine their experience and knowledge to offer bespoke retreats for guests wanting to embark on, or deepen, their spiritual practice, whether they wish to focus purely on yoga and meditation, or integrate the water element into their journey. Each retreat is created with love and in close consultation with you, to ensure a journey that is powerful, uplifting and joyful in its impact. Sara and Jean Philippe teach regular drop-in classes at the Nour Wellbeing Centre at Coral Coast, where they host most of their events and retreats, and run Seasonal Alignment Retreats incorporating yoga and meditation practices, the wisdom that can be drawn from Mother Nature, and lifestyle and nutritional advice based on ayurvedic principles and other ancient spiritual paths. Depending on the season, the retreat incorporates trekking, swimming and volunteering on an organic farm. During the Spring Alignment retreat, you’ll spend three days in Dahab focusing on your practice and learning about lifestyle and ayurvedic wisdom to harmonise yourself to the season. 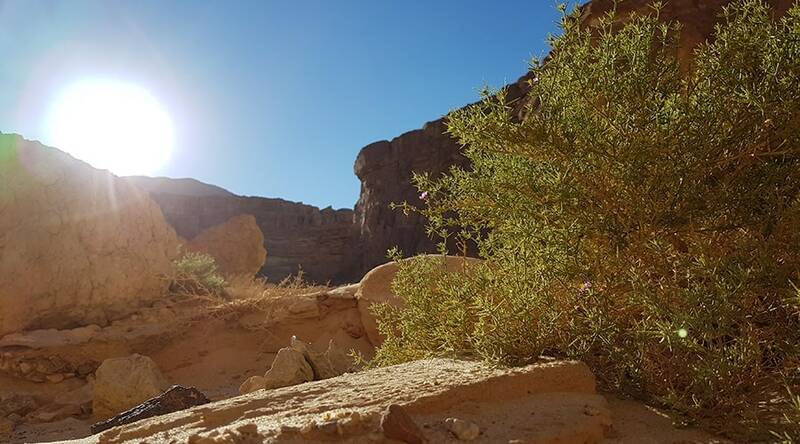 Three further days are a retreat-within-a-retreat to honour Mother Nature, held in the mountains of St Catherine’s with Bedouin natural healer, Dr Ahmed. You’ll also get your hands dirty and learn about sustainable farming and permaculture at the Habiba Beach Organic Farm in Nuweiba. If you crave deep silence, you’re unlikely to find anywhere more powerful than the Sinai desert. Vast open spaces with infinite blue-domed skies and lunar-like mountain and sandscapes make you truly feel a million miles from civilisation. 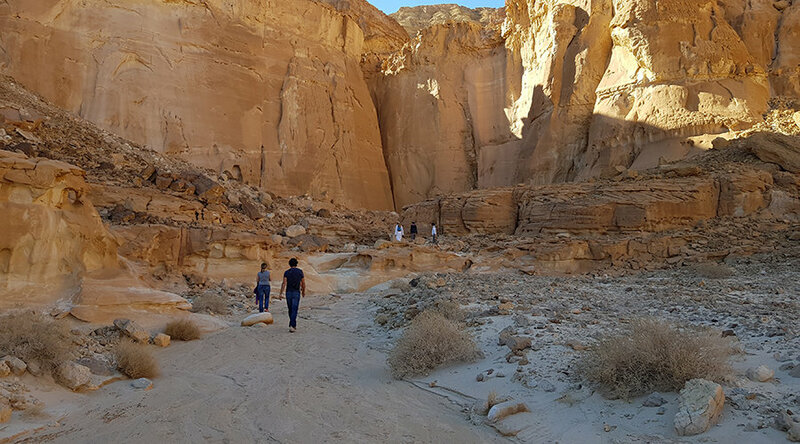 Sara and Jean Philippe incorporate desert safaris into most of their retreats according to the programme, from a short trek in the local mountains up to several days of hiking, resting in silence, exploring and experiencing the incredible warmth of Bedouin hospitality and culture. 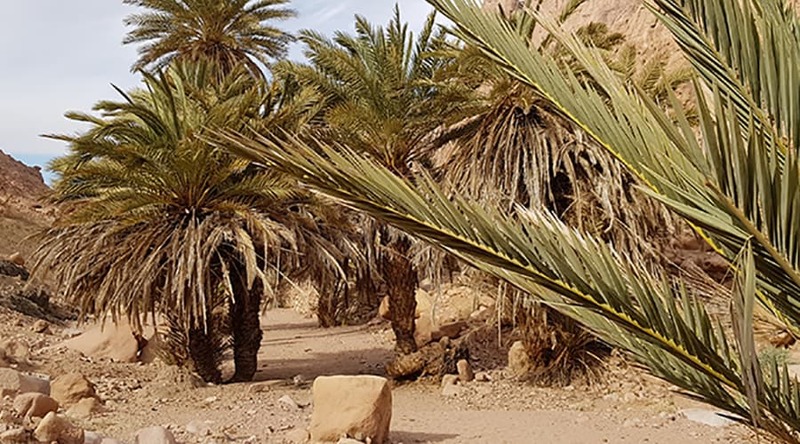 Itineraries can include the sacred area of St Catherine’s and Mount Sinai, secret herbal gardens of Bedouin healers, hidden ecolodges deep in the mountains, or sanddunes and Lawrence of Arabia-style valleys and plateau. Depending on the programme accommodation will be in clean and comfortable Bedouin lodges, or outdoors beneath the billion-starred Sinai sky. The Red Sea is one of the most beautiful oceanic environments on this planet, and is just a 5-hour flight from many European cities. Coldest water temperatures (Dec-Mar) are a balmy 21 degrees, heating up to at least 28 degrees in late summer (Aug-Oct). The coral reefs are some of the most vibrant, beautiful and precious marine ecosystems in the world, populated by fish of all sizes, and colours of the rainbow. Visibility is over 20 metres on an average day. There is bathing all along the protected and weather-sheltered bay, with sandy bottom and easy, safe access, great for swimmers and snorkellers. More confident swimmers can explore some of the more remote sites along the coast. Dahab is one of the best locations in the world for freediving, with year-round warm temperatures, very little current, calm surface conditions and perfect visibility. The bay provides the ideal, safe place for learning, with a gently sloping sandy bottom, from 10m depth, up to 50m for serious training. Of course the Blue Hole is a unique location, attracting divers with its stunning arch, a cathedral-like opening at 50 metres depth, down to over 100 metres, opening from the Blue Hole to the open ocean. The Saddle, a reef wall on the outside of the Blue Hole is a more accessible site for snorkeling, home to thousands of reef fish, unbelievable corals, and sometimes a turtle or two. For scuba divers the entire coastline is a treasure-trove of sites providing a vast variety of dives, from beginner to highly advanced tech-diving. Depending on the nature of the retreat, there may be anything from a few hours up to a full day where silence is encouraged to support the inner process. The team encourage guests to leave their phones in their rooms as much as possible, and certainly on their more active retreats, where the focus is on the inner environment, there is very little time for connecting with the outside world. There is often no reception in the mountains and desert, and so any desert trips are digital-free by default! The ocean is a uniquely powerful environment for healing – the water element is said to represent our emotional state, and through her personal freediving experiences, Sara learned that it has a remarkable ability to mirror back to us our true inner emotional and mental states. 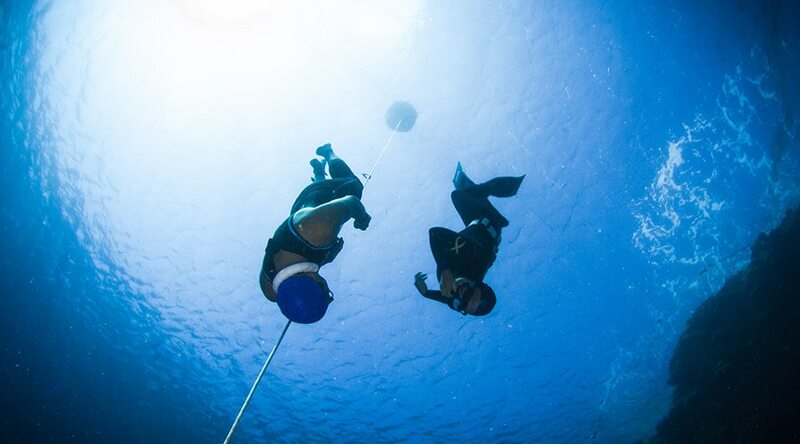 This is what makes her freediving retreats so effective and enables guests to experience profound insights and personal shifts in a very short period of time. Water is soft, fluid, supportive, offers no resistance, and knows no boundaries – it reflects the energy and essence of the Universe, and if we wish to immerse ourselves in it, we need to remove any tendencies we may have that are in opposition to the water element – control, self-doubt, negativity, fear, egoic motivation, resistance to life. Of course diving on one breath also triggers our subconscious and so all of our tendencies – conscious and subconscious – rise to the surface to be seen with greater clarity, to be understood, healed and released. For those with water-related trauma, their approach can heal deep-seated fears by teaching about the true nature of water, its ability to help us heal and release, and by gently and with great patience, guiding guests through a process of entering and surrendering to the water to return ‘home’. There are some real hidden gems of therapists and body workers, so make sure to ask Sara where to go (not the beach salons!). Massages, holistic therapies including reiki and energy work, and beauty treatments including facials and manicures/pedicures are all available locally. There are several highly qualified European therapists working at the Nour Wellbeing Centre at the Coral Coast hotel. Sara can also recommend other excellent independent therapists around town. Sara offers an online bespoke programme for anyone looking for spiritual guidance, whether it is related to freediving, or a deeper, personal question or challenge that is arising. 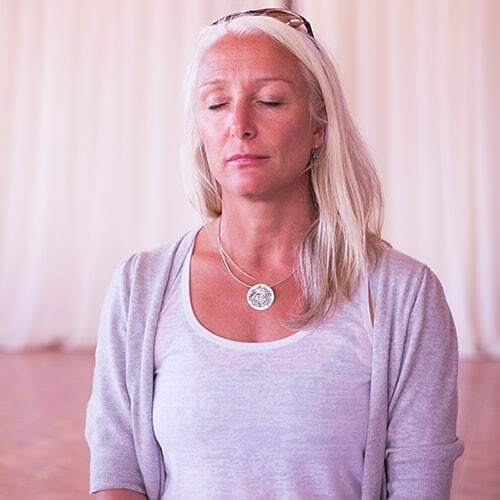 Working at each client’s own pace, she take’s time to get to know and understand you, and guides each person through a bespoke journey of awareness through reflection, lifestyle advice and meditation. Jean Philippe has over 20 years experience of the Buddhist meditation traditions, and offers personal support in both beginning, and continuing and deepening a personal practice. His aim is to create a strong foundation of understanding and regular sitting in order to allow each student to progress effectively from where they each are. There are two options of accommodation on the retreats – Villa Prana, a private villa adjacent to Sara’s house, and the nearby Coral Coast Hotel. 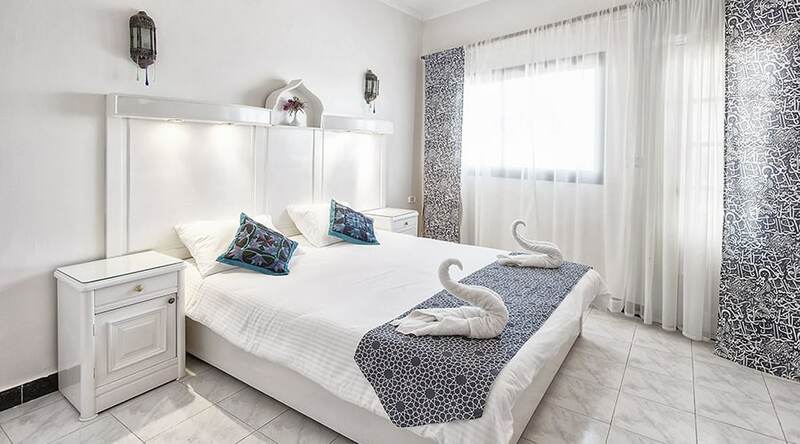 Villa Prana: This is a beautiful private self-catering space, with two luxury double bedrooms, both with their own private bathroom with walk-in showers, one ensuite. 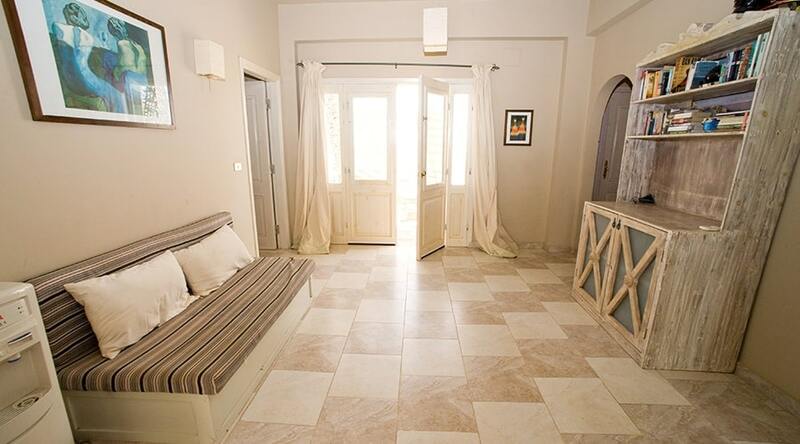 The villa is tastefully designed in natural restful desert colours. The master bedroom has a four-poster bed and domed ceiling; the second bedroom has high arched ceiling and a feature window. 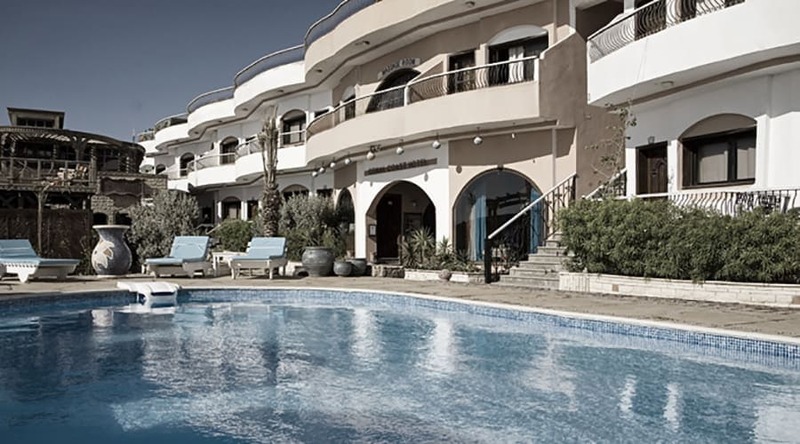 Coral Coast Hotel: You can also book to stay at the Coral Coast Hotel, where superior rooms all have plenty of space and light and a balcony or terrace with a stunning view of the Red Sea. Rooms are decorated in muted tones with splashes of colour, beds are comfy and each has its own bathroom. For a real taste of Sinai luxury, treat yourself to a day out at the slightly eccentric but absolutely magical Castle Zaman, a modern luxury day-retreat with a feel of ancient decadence. Delicious slow-food meals are served in huge iron dishes on stone terraces overlooking the natural infinity pool and turquoise ocean beyond, and there’s a sauna, games area and hidden cellar selling local handcrafts such as purses, shawls and pottery. Habiba Organic Farm in Nuweiba, a one-hour drive north of Dahab, also makes a fascinating and fun day out (see Sustainability section). They offer a volunteering programme, and have a Beach Lodge with rooms and a restaurant for people wanting to stay longer. 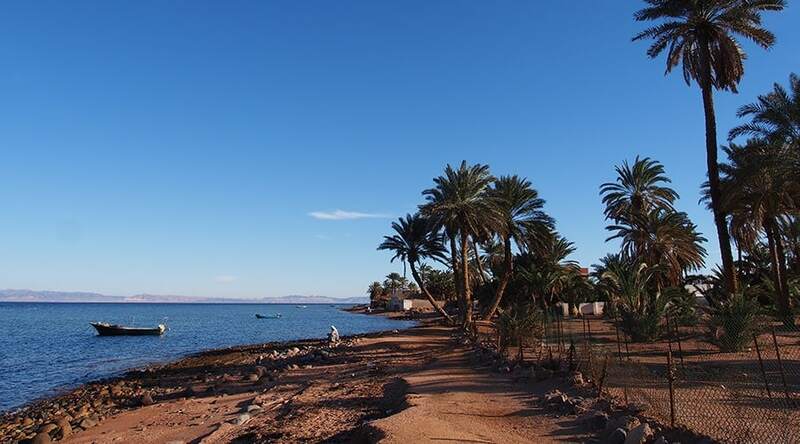 Dahab has year-round perfect weather. Air temperatures range from the comfortable low-to-mid-20s in winter, into the high 30s, low 40s in summer. Water temperatures go from around 21 in winter up to 28 in late summer – perfect for snorkelling, swimming and diving all year round. Winter, Spring and Autumn are the best times for yoga and for trekking in the desert, although with many of the mountainous safari regions being at altitude, it is always slightly cooler than at sea level. If planning a desert trip in winter, note than nighttime temperatures can fall to zero or lower, so bring thermal layers. Villa Prana: The villa offers its own private shaded courtyard garden with chill-out sofa area, a roof terrace for yoga, meditation and sunbathing, and taking in the magnificent mountain and ocean views, and an open plan kitchen and living space. Sara lives right next door and is usually happy to answer questions or help with any issues that come up during your stay. She can also organize desert and boat trips. While completely private, she does have pets (friendly dogs and cats) who might come and visit. Coral Coast Hotel: The hotel is cosy and welcoming, with a 10m swimming pool (slightly chlorinated), a large sandy beach with an arisha and hammock area, a Bedouin tent with open fire on the beach, perfect for chilling in the evenings, sharing tea and stories with the Bedouin, and maybe listening to impromptu local music. The yoga studio is a stunning first-floor space with views directly onto the mountains and ocean, while the Addah is a second, smaller but beautiful, open-to-the-elements yoga space. The hotel is also home to the Nour Wellbeing Centre, the centre of spiritual, holistic and wellness activities in Dahab. Sara was their first yoga teacher over 14 years ago and since then the centre has grown up to offer two great yoga spaces (three if you include the Bedouin tent on the beach), a therapy room with various excellent therapists, and a programme of classes, workshops and events all year round. Villa Prana: Sara provides a beautiful welcome basket of fresh local seasonal produce (mangoes, strawberries, bananas, dates, vegetables etc) as well as wholegrain bread, butter, cheese, jam, yoghurt, tea and coffee – everything to ensure you can totally relax on arrival and focus on settling in. Guests normally self-cater for breakfast and the marketplace at the end of the road has everything that you will need – from a German bakery, to a wholefoods, organic food store, and several grocers selling fresh fruit and vegetables. Staples such as milk, butter, cheese etc can be brought from a small local store right nextdoor to the Villa. For lunches and suppers, you can self-cater or eat out (see below). Coral Coast Hotel: The hotel’s main restaurant is a friendly place for breakfast, and tea, coffee or fresh juice during the day. The Italian dive centre assistant makes the most incredible tiramisu. There’s also an Arisha, a beach extension of the hotel restaurant, which has a hippy Bedouin vibe. Breakfast is always included if you stay here, and is a mixture of typical Egyptian (falafel, beans, cheese, salad) or continental (yoghurt, bread, deli cheeses and meats, fruit salad) served either in the restaurant or beach Arisha. 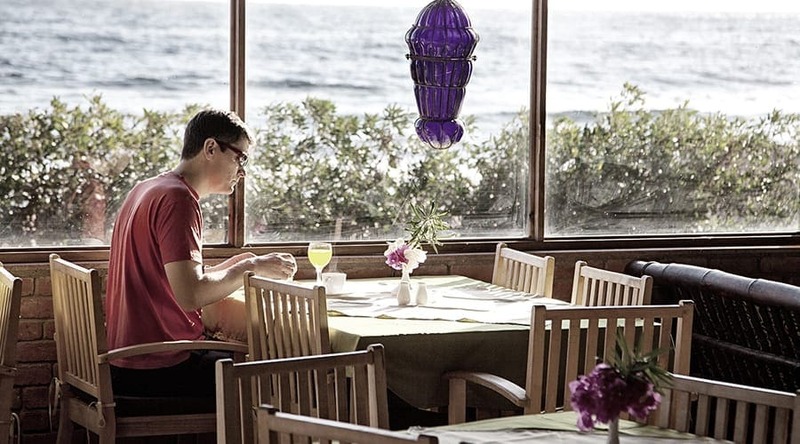 The hotel has an a la carte menu for lunch and dinner with the standard fare of pizzas, burgers, pasta and salads, but most people prefer to eat out in many of the more interesting (and healthy) restaurants along the beach front. Dahab restaurants: Dahab has a colourful and ever-growing array of creative eateries, and Sara will give you all the advice you need according to your dietary tastes and needs. Good spots include two vegan restaurants (Marine Garden and The Vegan Lab), an amazing Russian eatery, Red Cat, several authentic Italians, two great Indians, Thai, Chinese, Asian-fusion, and of course traditional Middle-Eastern including Egyptian and Lebanese. If you have a sensitive stomach then avoid eating salad/uncooked foods anywhere except Red Cat, The Vegan Lab, and Marine Garden (where fresh foods are guaranteed to have been washed in drinking water and vinegar), and for all healthy eaters, these three places have it covered. The best coffee can be had at The Coffee Wheel. Most restaurants do not serve beer or wine, but they are all very happy for you to bring your own alcohol, which is available in local bottle shops and bars. Sara provides clean drinking water for Villa Prana guests and asks all guests to ensure they bring a thermal refillable water bottle with them to reduce the need to purchase plastic bottles in restaurants. Organic waste disposal comes with a local twist; simply throw it directly on to the streets for the passing goats to eat (you really know you’re in the middle of a Bedouin village!). There are many beach-clean-up projects including clean-up dives for certified scuba divers. But Dahab is way behind the curve in reducing plastic, which is everywhere, from plastic water bottles in restaurants to the polystyrene trays with plastic forks you’re given at the Friday community market (many of the residents now take their own plates and cutlery, but there is a long way to go). 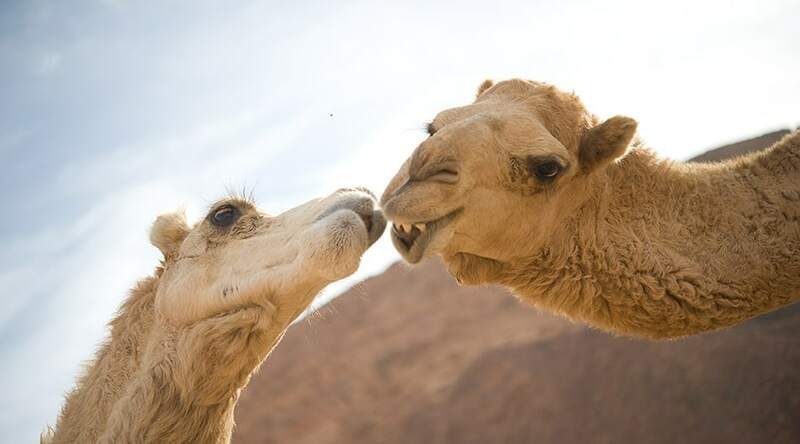 The Coral Coast hotel feeds its organic waste to the goats of a local Bedouin family. Their trips are all sustainable excursions in line with the Travel Foundation UK guidelines, providing income for multiple local and desert families, and also supporting them financially during low seasons and in times of need. They are working on a sustainable solution to water bottles. Habiba Organic Farm in Nuweiba, a one-hour drive north of Dahab, is an organic farm that provides weekly green boxes for many of Dahab’s health-conscious residents as well as supplying the vegan and organic-focused restaurants. They are pioneering desert agriculture with experimental permaculture and sustainable farming methods, and in an increasingly unstable climate, they believe their work and discoveries may become highly relevant for future sustainable farming.